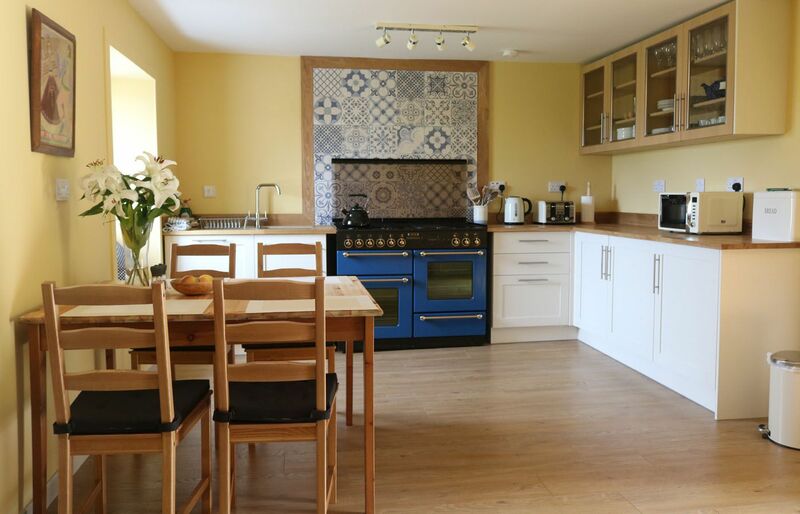 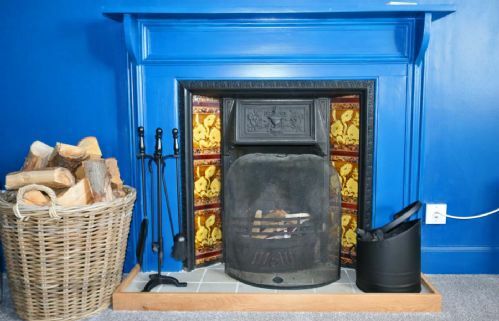 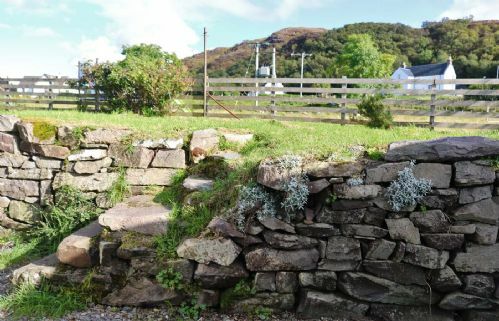 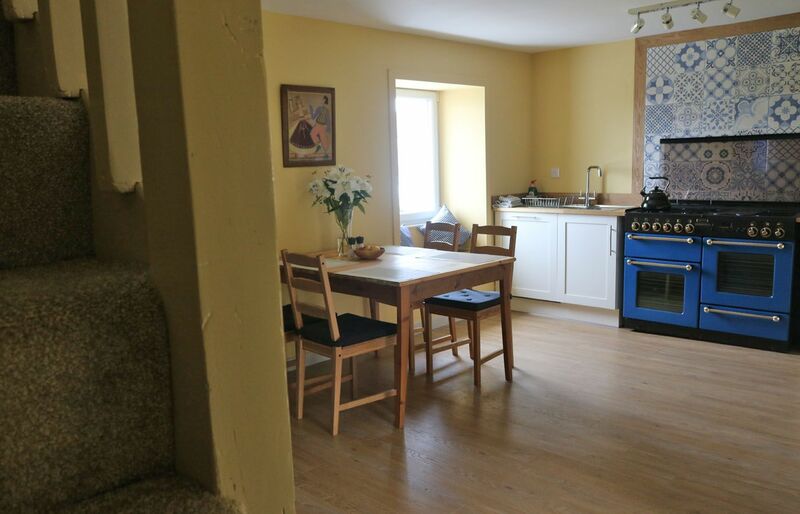 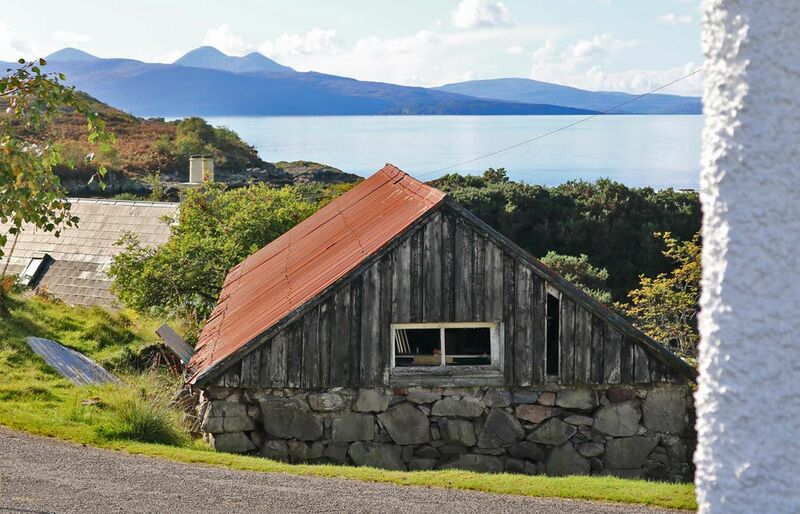 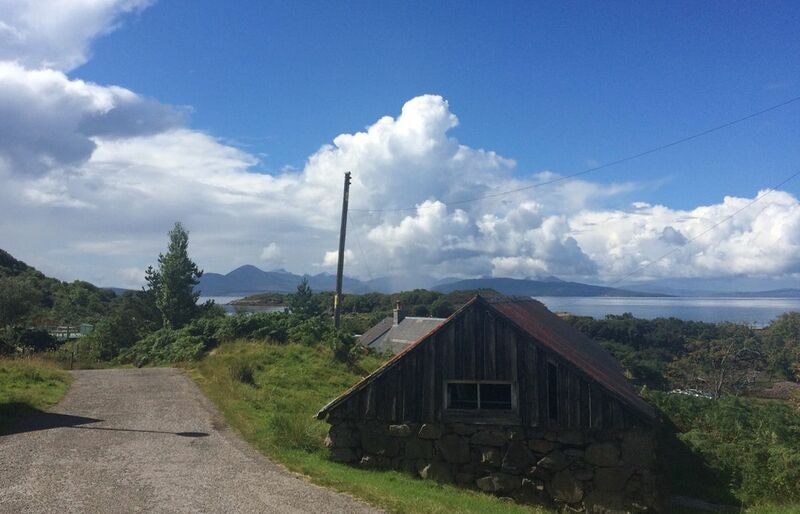 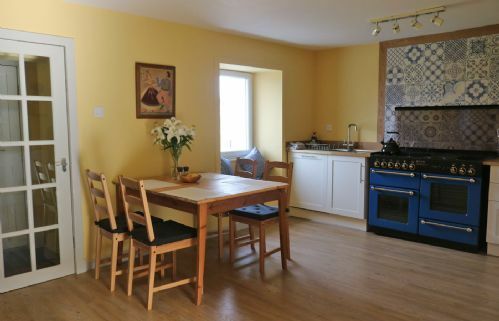 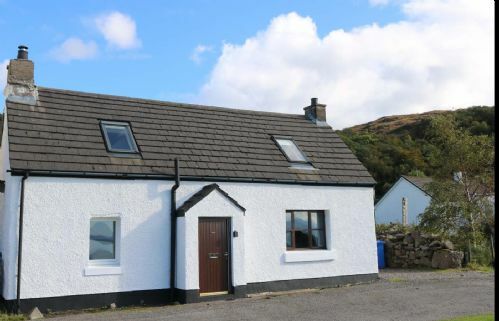 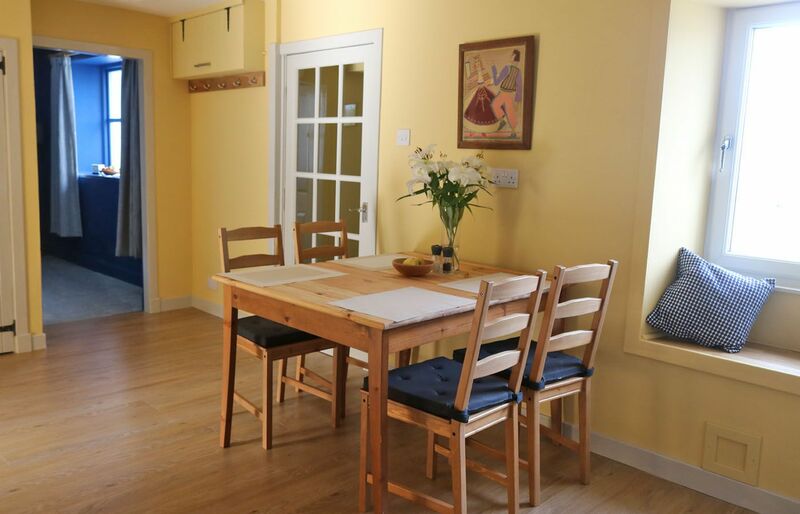 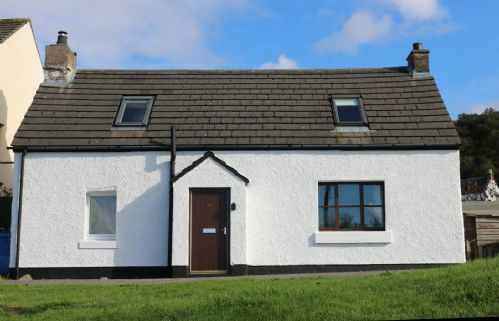 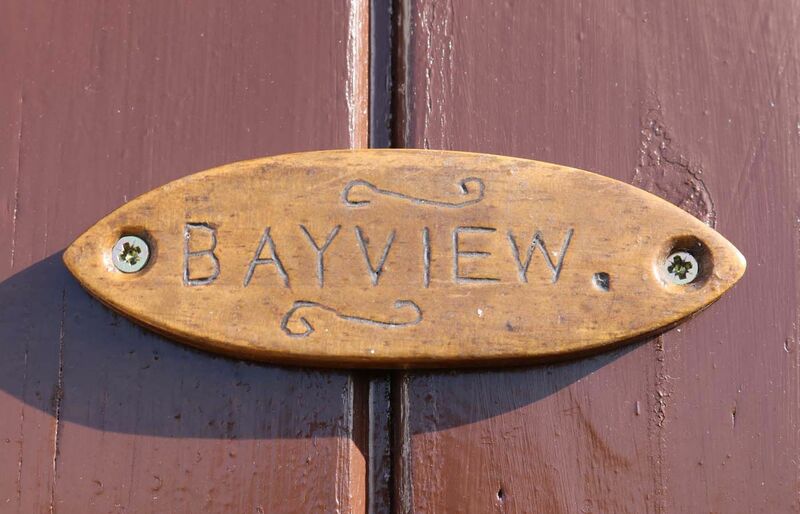 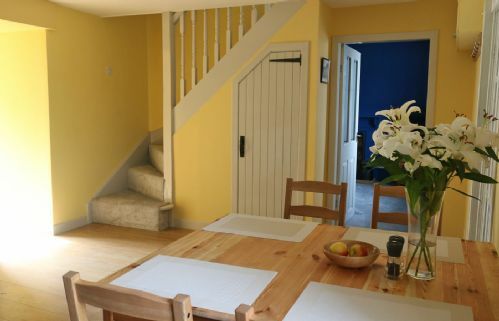 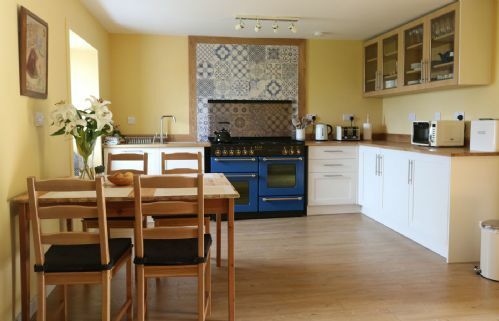 Bayview Cottage, Erbusaig is a cosy holiday cottage with lovely sea views. 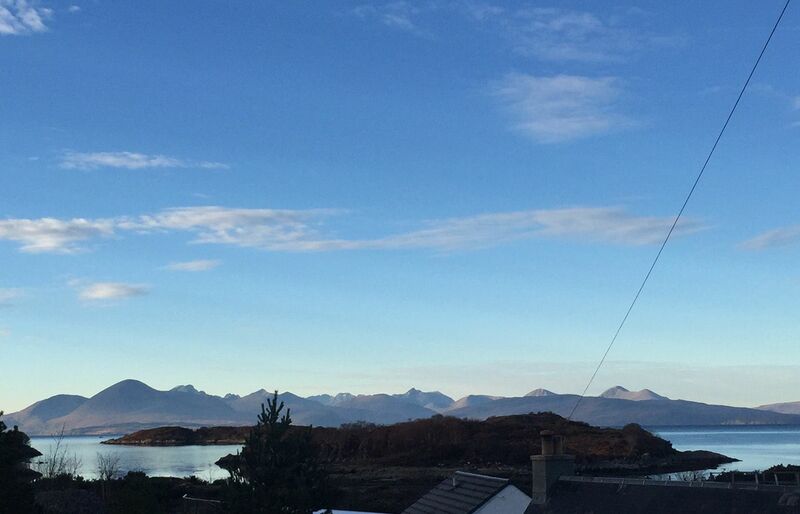 The Black Cuillin Ridge on the Isle of Skye can be seen in the distance, a perfect backdrop for watching sunsets! Within Erbusaig there is the Tinglecreek Hotel which has a public bar and restaurant. 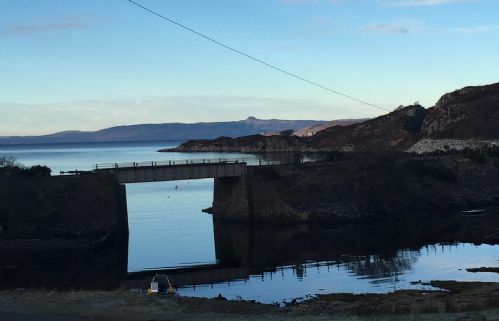 Nearby, the picturesque fishing village of Plockton and Eilean Donan Castle, Dornie are well worth visiting and there are ample local walks to enjoy the scenery from. 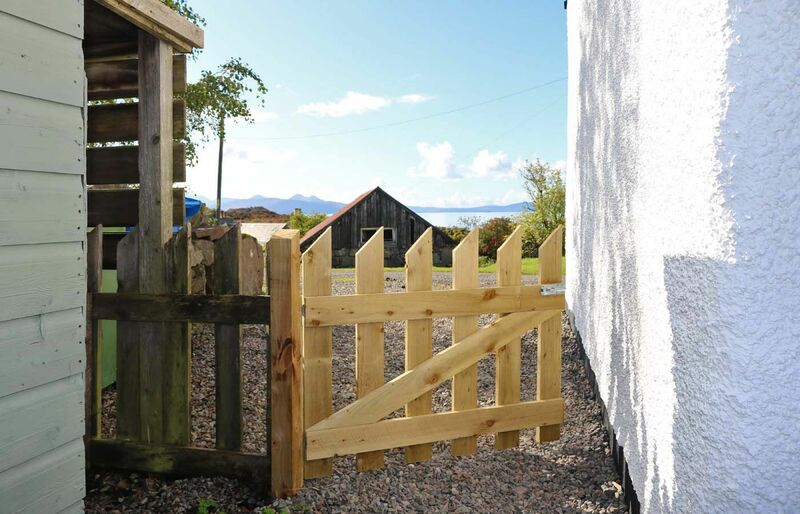 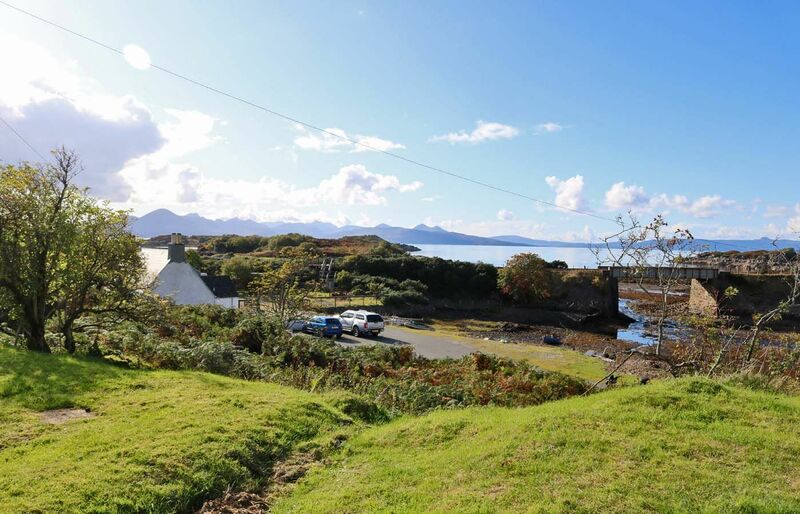 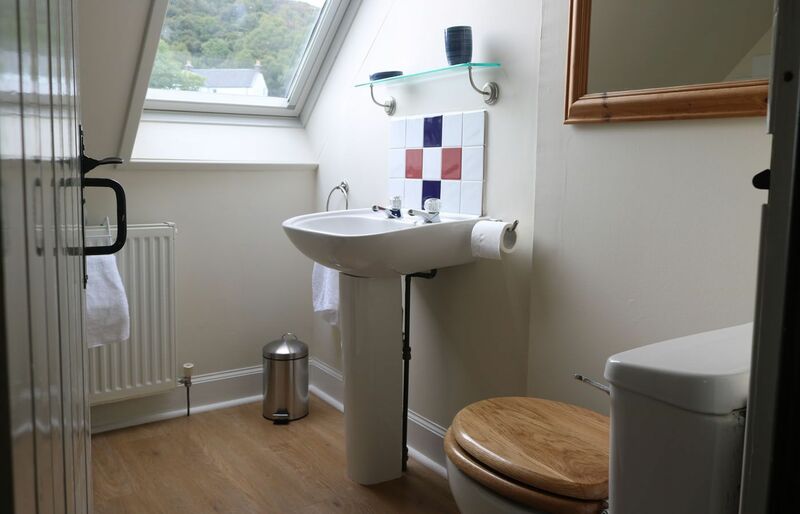 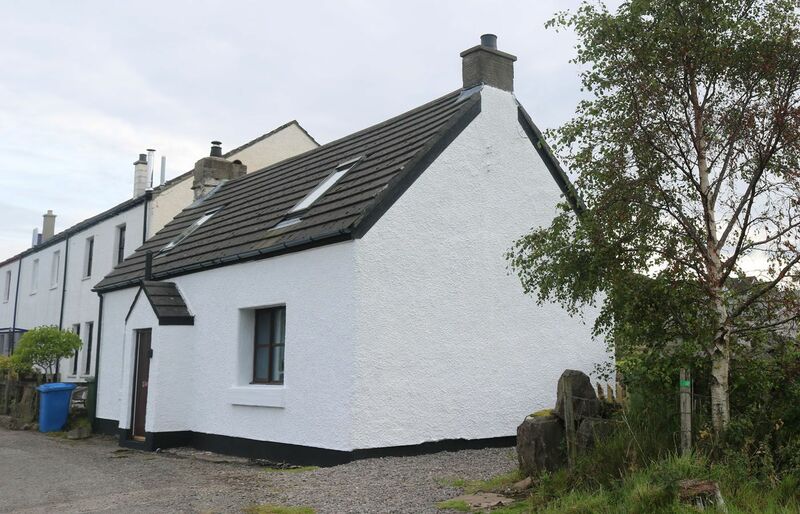 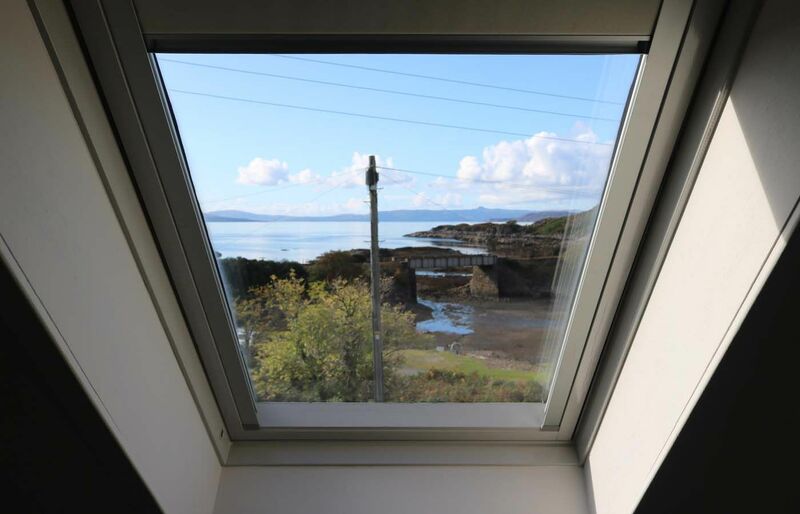 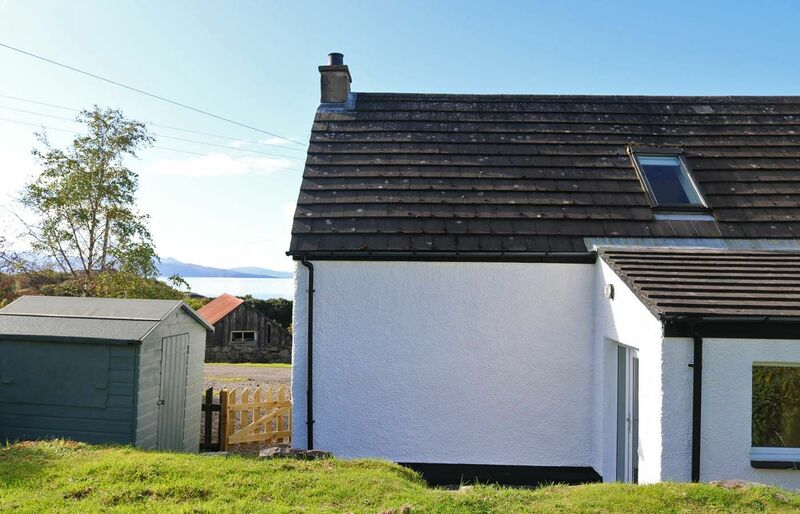 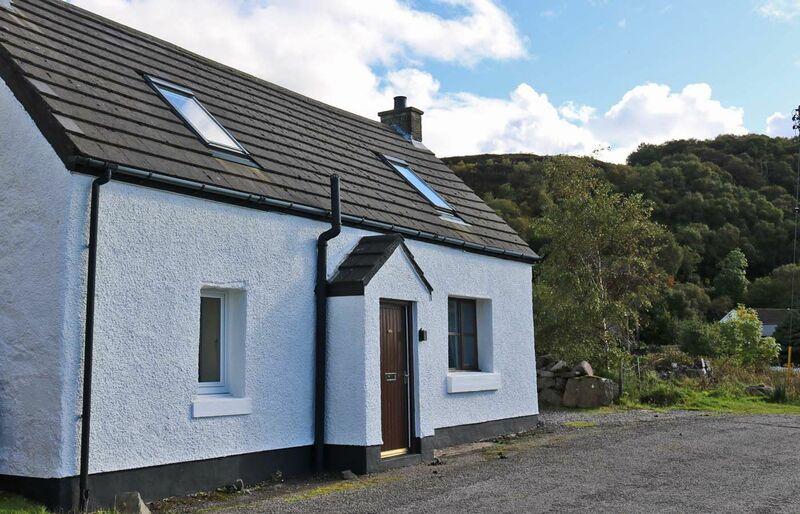 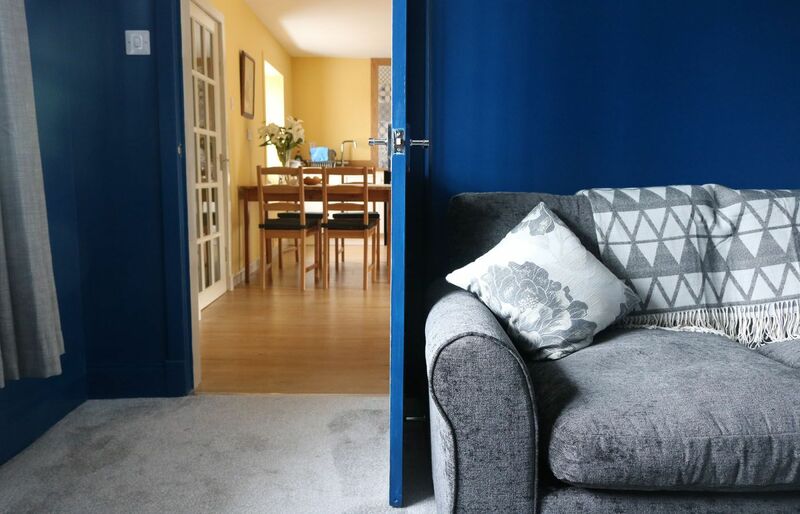 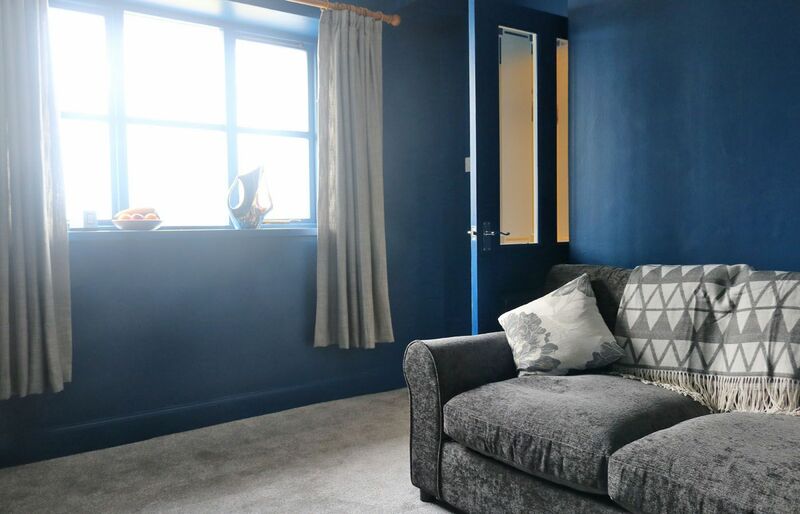 Bayview Cottage, Erbusaig is less than 2 miles away from Kyle of Lochalsh and the Isle of Skye Bridge, perfect for day trips to explore the Isle of Skye. It also makes an excellent base from which to explore Applecross, Torridon and Glenelg where you can take the local community owned ferry to the Isle of Skye. 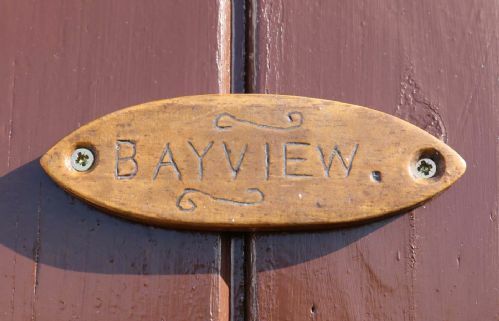 Bayview Cottage is entered through the front porch which leads you into the spacious kitchen / diner, and the heart of the home. 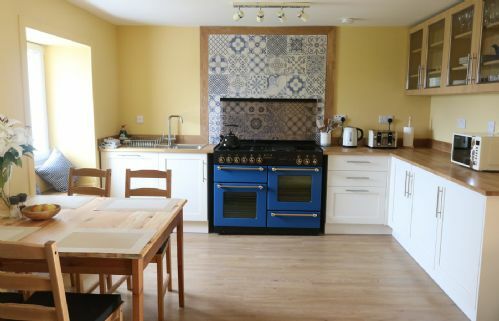 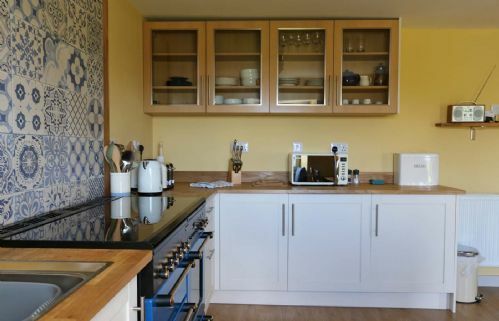 The modern kitchen has a rangemaster for guests to use with double oven, 4 gas ring hob and 2 electric hot plates to cook from. 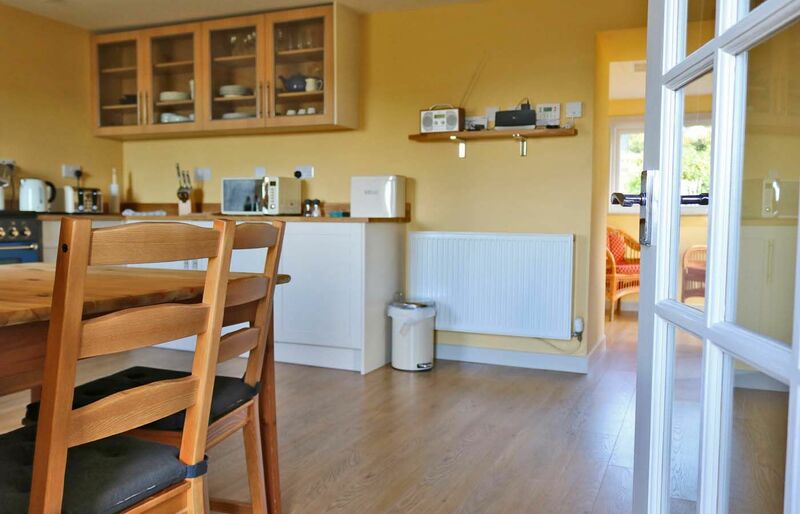 There is also a dishwasher, microwave, fridge with freezer compartment and a dining table with 4 chairs. There are two additional folding chairs for extra guests. A window seat makes a charming spot to enjoy the sea views from! 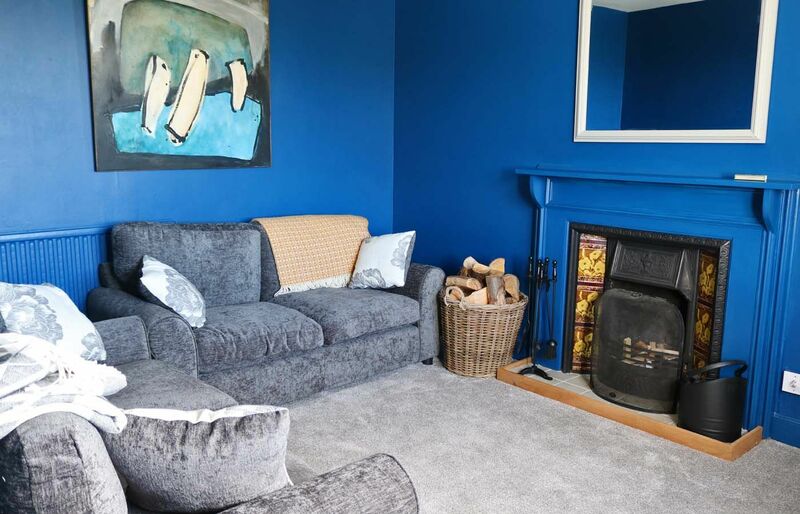 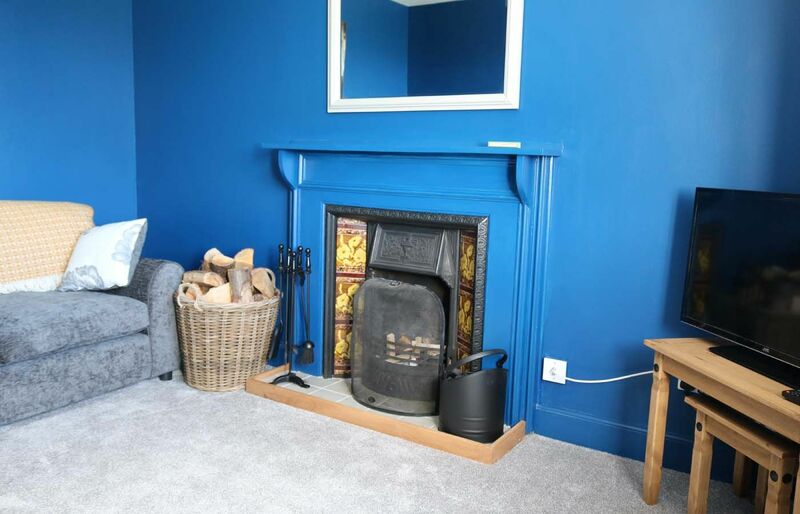 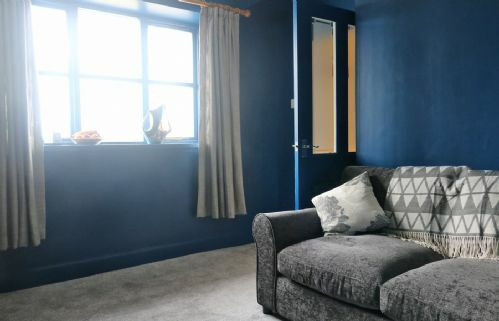 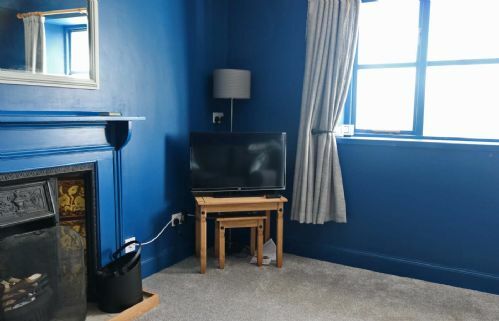 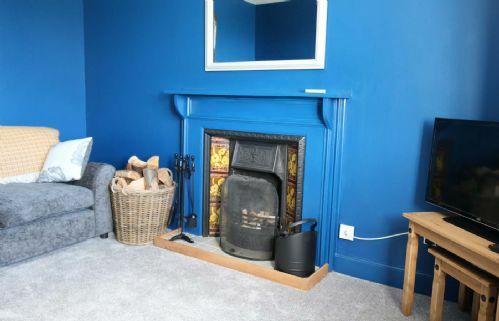 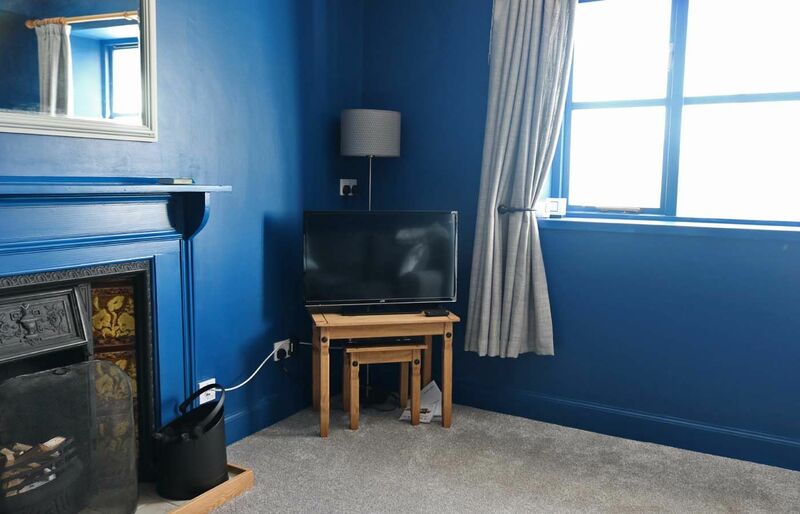 The lounge has two sofas to curl up on, an open fire for creating a warming atmosphere, a flatscreen TV with FreeSat and DVD player. 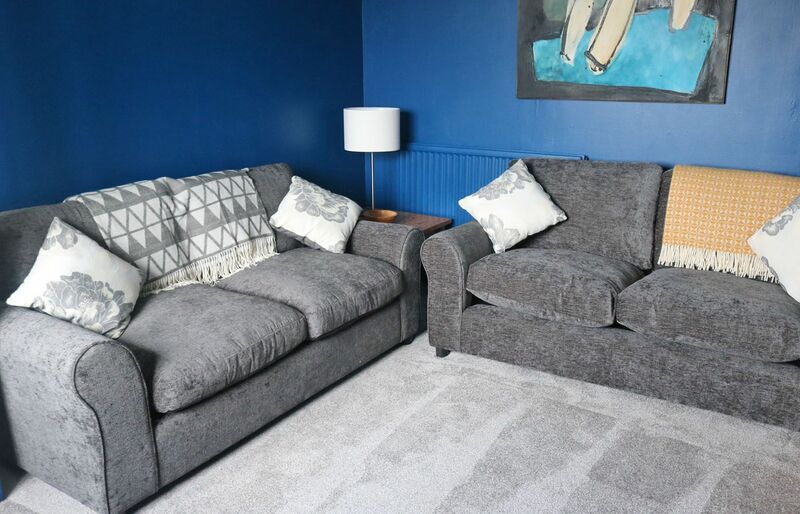 One of the sofas is a sofa bed which can sleep two additional guests (so sleeping 6 maximum). 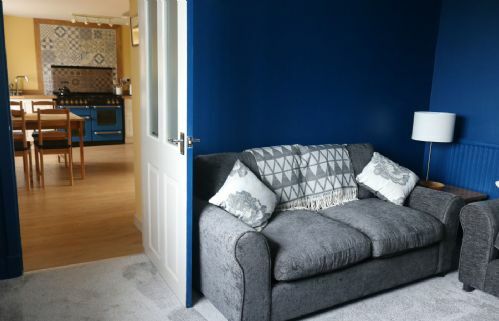 There is a fee of £50 per week to use the sofa bed. 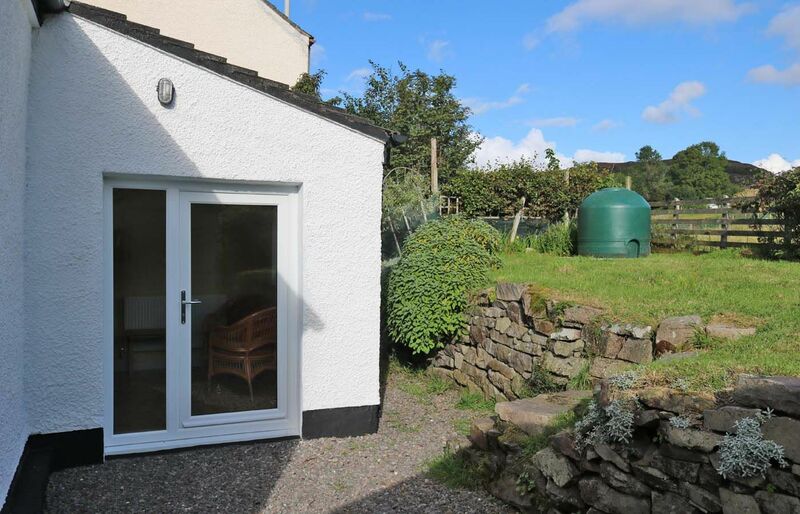 There is a sunroom to the rear of the cottage with a patio door leading out into the garden. 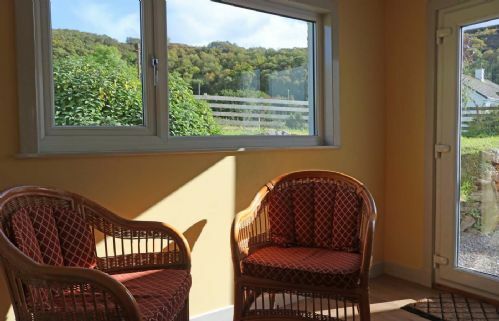 There are two wicker chairs to unwind on along with a selection of books and games. 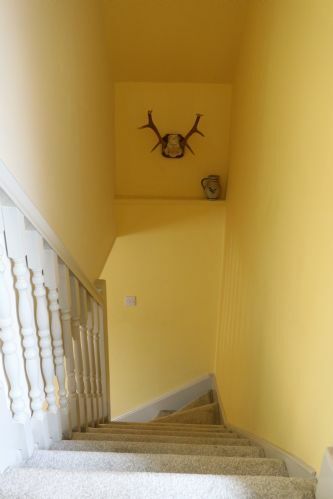 The stairs lead you up to the two bedrooms. 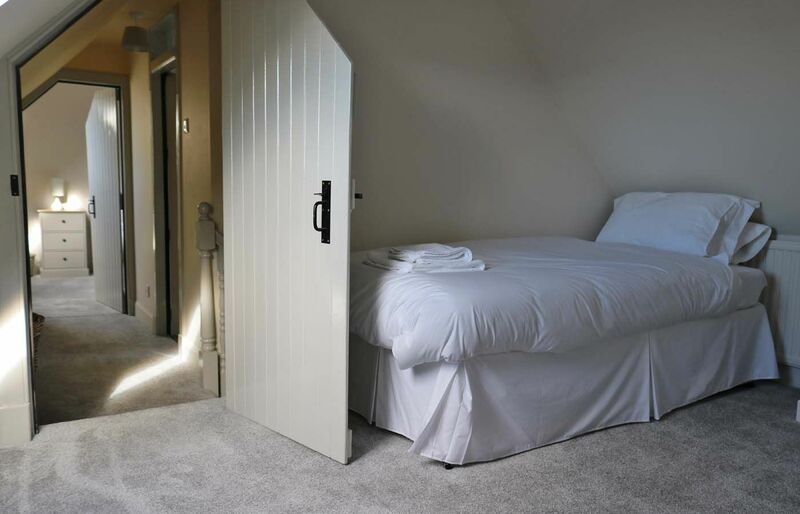 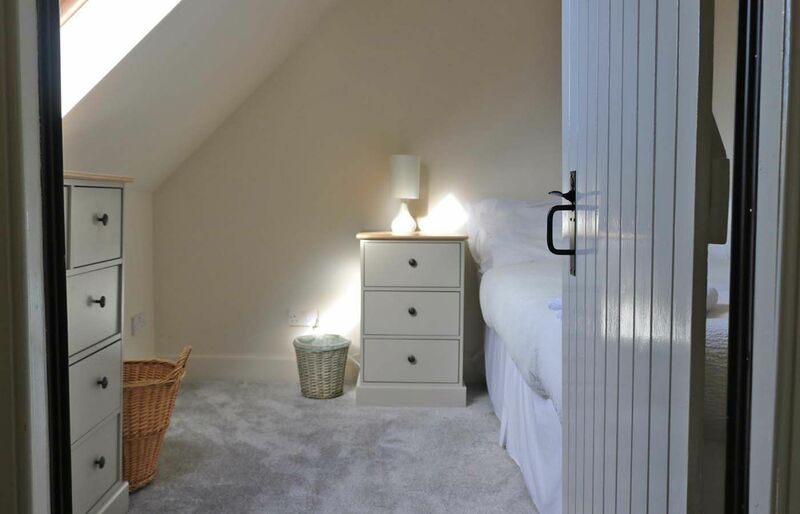 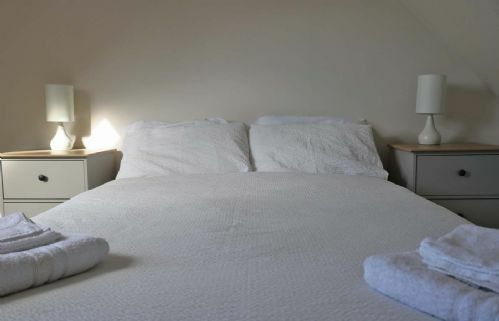 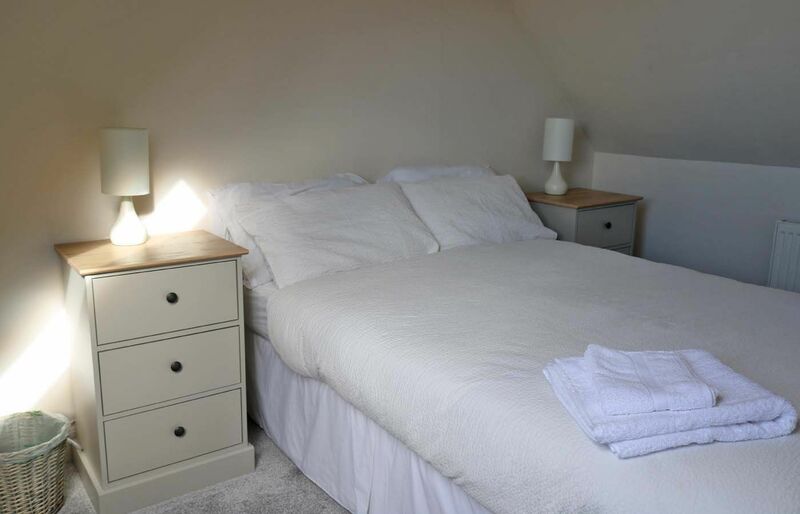 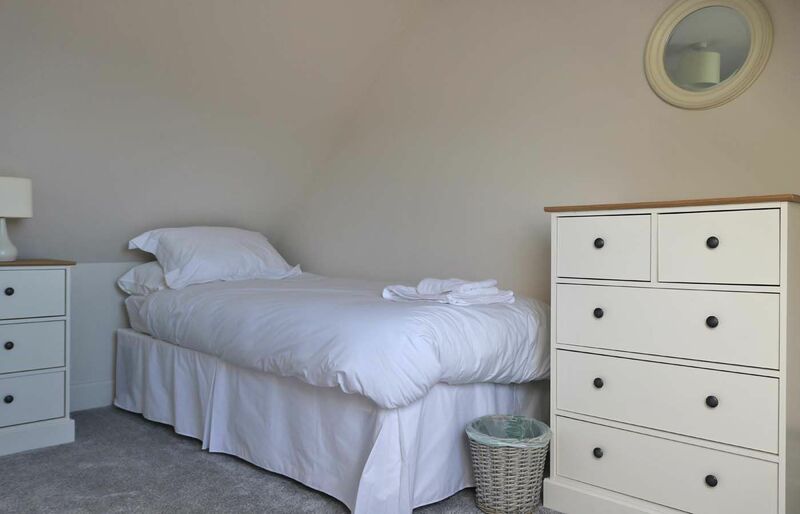 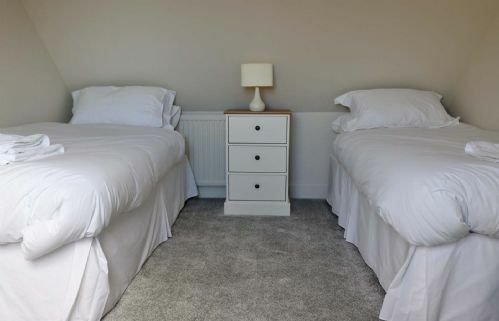 The twin bedroom has two single beds, a chest of drawers and a bedside table with lamp. 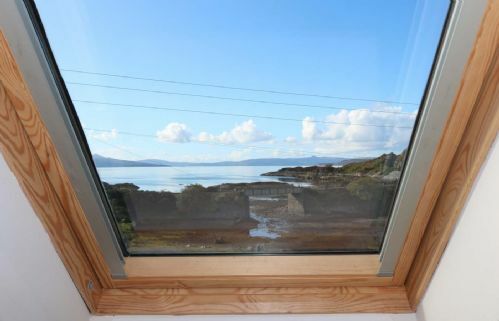 There are a couple of hooks behind the door for hanging clothes upon and the bedroom enjoys sea views over the bay and towards Skye. 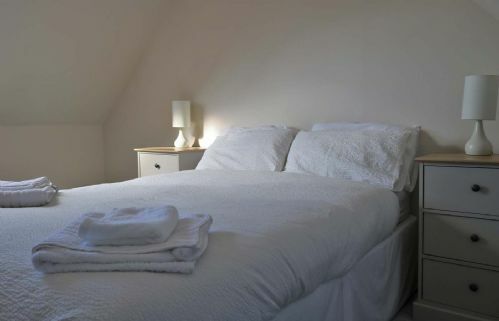 The double bedroom has a double bed, chest of drawers, two bedside tables with lamps and hooks for hanging clothes upon. 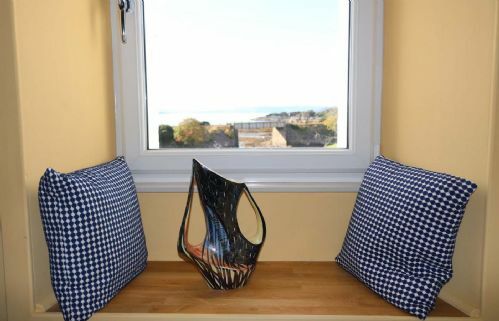 Again the bedroom enjoys sea views! 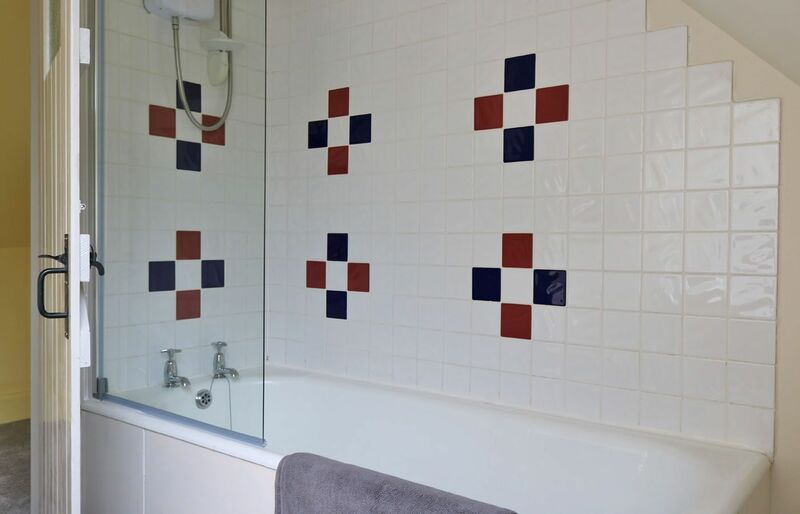 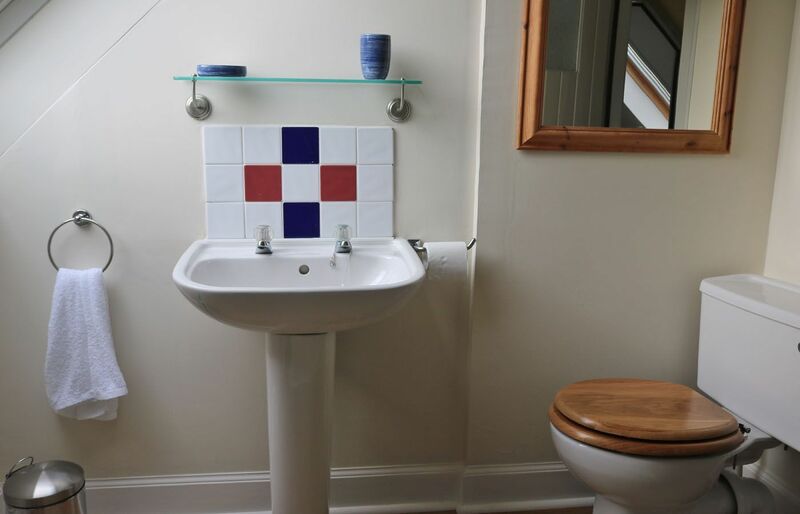 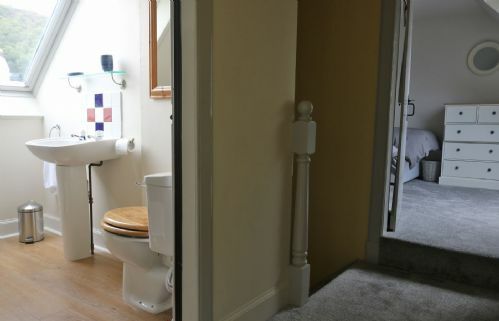 The bathroom has a W.C., wash hand basin and bath with shower over. 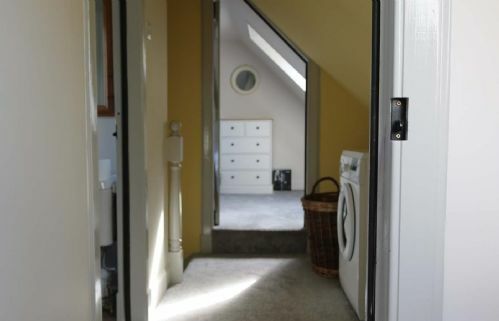 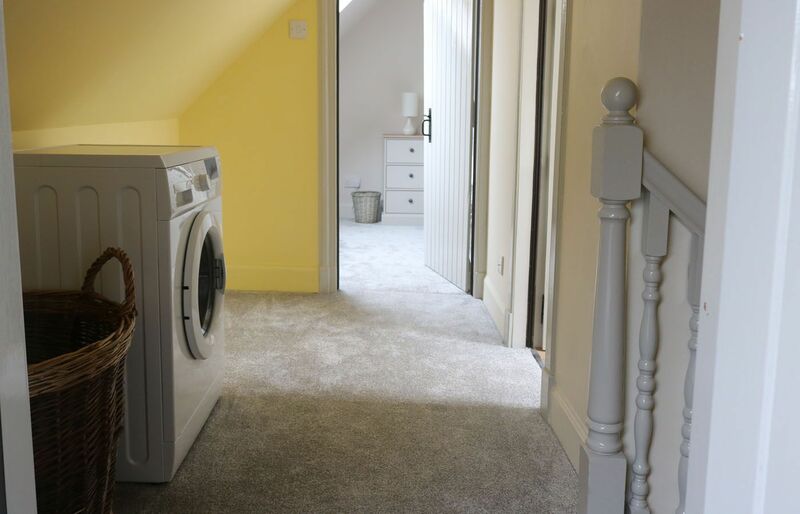 On the landing there is a washing machine for guests to use. 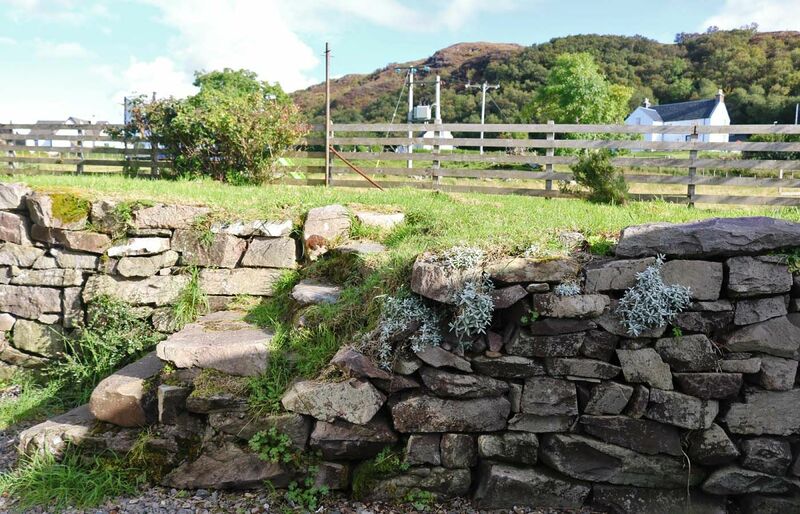 There is a small fenced garden to the rear of the cottage with stone steps leading up to the lawn. There is a outdoor table and chairs for guests to use. 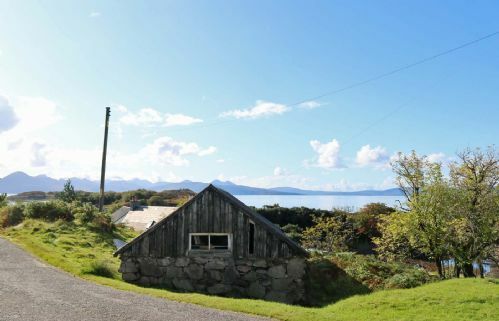 There are views of the crofts running up the slope (these can have livestock in them) and of the sea from the side of the house. In addition to street parking in the quiet residential area, there is private parking for one vehicle in the driveway.